Even after the leaves fall, the berries attract wildlife and remain a beautiful winter interest in the landscape. I wonder if that would grow here. I'd love to have it in my garden. 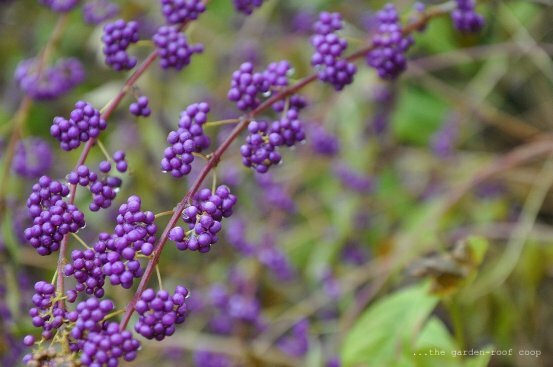 Beautiful shots of autumn purple! Thank you for the information, I have never seen this plant before, lovely. OH my goodness! I have never seen berries like that! wonderful autumn colours! 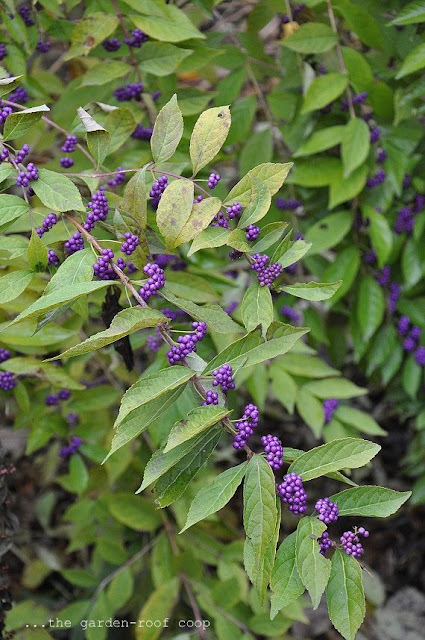 My American beautyberry survived in a 4" pot over two seasons, forgotten about at the back of the garden. I planted it this summer in a shady spot and it is one of the few plants thriving without any supplemental water or attention. No berries yet but I'm hopeful for next fall. I hope yours will like its new sunnier spot! 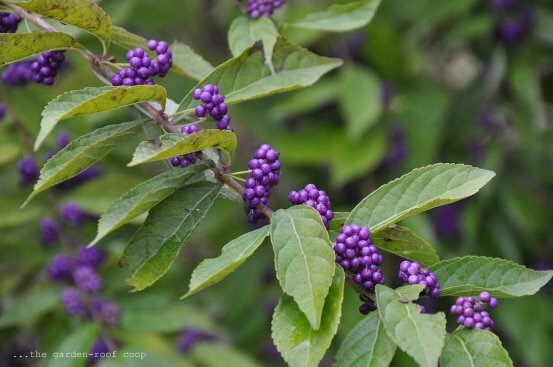 These beautyberries are absolutely...well, beautiful. So is that last shot! I noticed that you live in MO. I do as well - a teeny-tiny rural town (the new center of the US population, as a matter of fact). It's taken a lot of getting used to as I was born and raised in Hawaii, but I love it here. So nice to meet fellow MO bloggers! Thanks for joining us in the Shades of Autumn Photo Challenge. I'm following you now via GFC. Next week's theme will be brown. I hope to see you again! Have a great weekend. What a beautiful blog. I cant wait to explore all of it. Beautifully done!! Ha! I've seen those all over Missouri since we've moved here. Beautiful aren't they? Beautiful colour to those berries, Becks. Do they stay like that all though winter? Your photos are supurb!!! I cut down my beautyberry the first year I was here, not having a clue what it was. It came back and is preforming splendidly, and there are many more following suit!! thanks Rebecca! 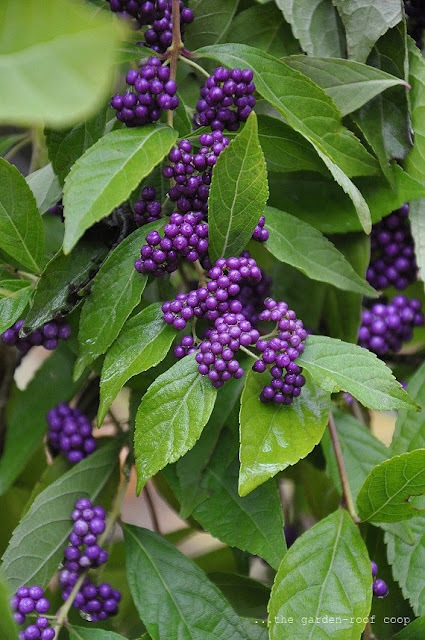 I can see why they are called Beautyberries as they are an especially attractive plant. Your photos are fantastic! Simply stunning! How attractive! I've never seen anything like this in upstate NY, where I live. Hmmm....wonder how it would do here! ?